It is time for the Freshly Made Sketches latest challenge. Oooh, take a look at this one!! The fabulous layout is courtesy of the super talented Rita Wright at Rita’s Creations! I love her style and her choice of the sketch shows why. Just look at all the possiblities with this one! If you have any questions, you just have to see the variety of projects from the team this week. Lots of inspiration there! Normally by November I am making all Christmas cards all the time. Somehow this year, I continue to be inspired to make fall cards. It might be because I LOVE fall in Virginia. It might be because we are having lovely cold crisp mornings with warm afternoons. Or it might be the Spice Cake DSP. Hmmm! I leave that to you to figure out! More Mustard is, I admit, not a go-to color for me in general. But this pattern called out to get used in this cool sketch this week. I looked at my leaves (and I have lots), I looked at my flowers (lots there too) and then I realized that my Every Moment stamp was at the back of the stack. That clearly had to be remedied! I love this stamp set and the little bird here is awesome. I have made him into several types of bird but today he is an orange fronted yellow finch. Yep, look it up! Of course I just colored him how I wanted and then figured out what he looked like but now we can all recognize a new kind of bird. *smile* I watercolored him with my Blender Pen after stamping him with Stazon Ink. I added a sentiment from Teeny Tiny Wishes and a button to finish it. 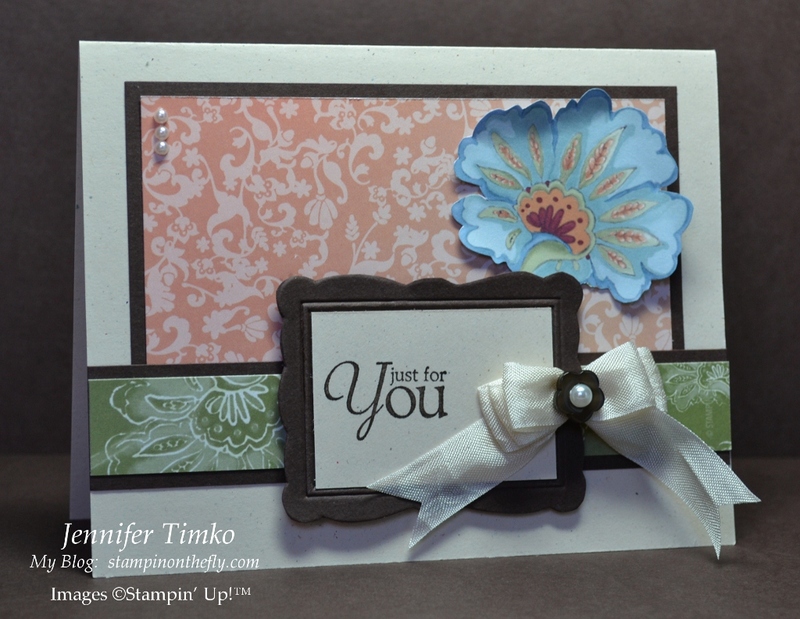 The sketch does all the work here so it is perfect for beginning and advanced stampers alike. Hope you will give it a try this week! My boys are have some days off from school this week so I will be enjoying the beautiful weather with them. I’ll be back next week though with lots of fun new things. Thanks so much for stopping in today! I am so happy to show you this week’s great sketch from Freshly Made Sketches! This one was chosen by the amazing Tui Nathan and it is awesome! I am also thrilled to tell you that the team is join by two guests for the month of November, Christy Q at SchnauzerCrafts Creations and Lauri Ingram of Paperville. You are going to love what they bring to the team! I am still working on replenishing my supply of thank you cards (always good before the holiday season) and today’s sketch kind of led me there. I was looking through my stamps and realized that I had yet another stamp that needed ink. My poor little pears had apparently been neglected. 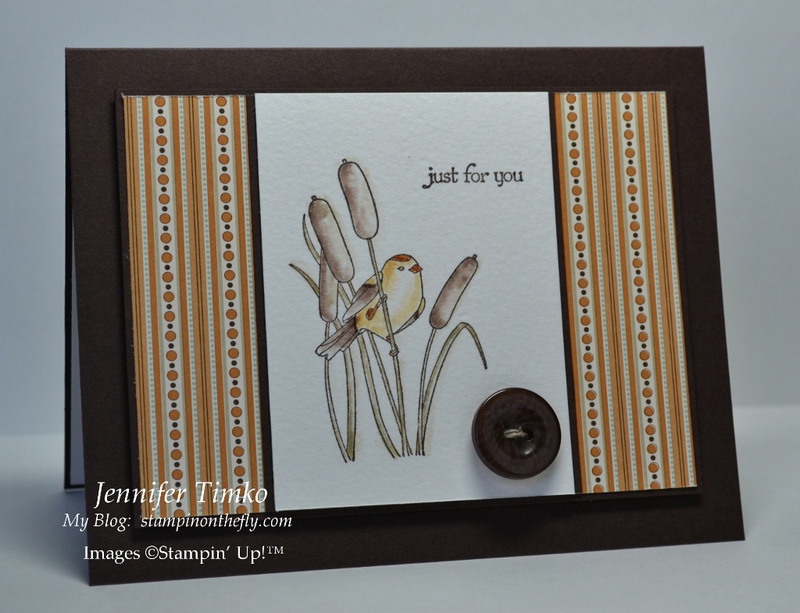 This pear is the stamp that drew me into this hostess set and I knew it was perfect for this layout. I inked it with Versamark, the Early Espresso (just like yesterday) and embossed it with Clear Embossing Powder. This allows you to watercolor without blending the words of the stamp. I colored the pear in with Old Olive ink, starting light and adding a bit more to darken the edges. 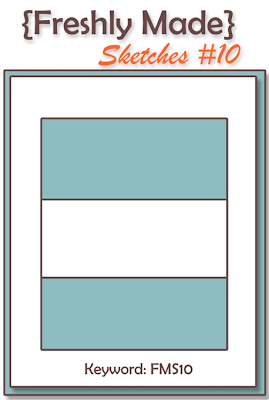 The inside is left plain or barely colored to give the illusion of depth. 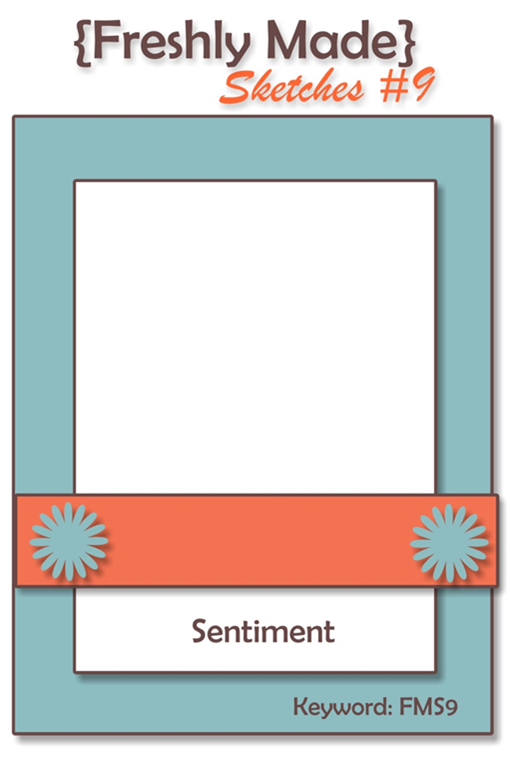 For the ribbon, I ran a line of Sticky Strip across the card and scrunched the Early Espresso Satin across on top. I left enough to tie on the end. 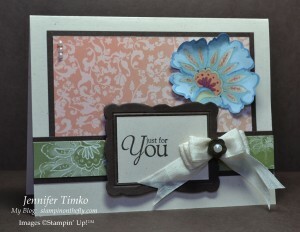 The thread is simply colored with my Stampin’ Write Marker. An Espresso button conceals the other end. 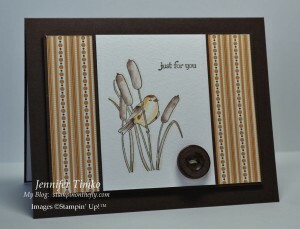 Of course the Framed Tulips Embossing Folder was put to work again to add a little something to the base layer. I hope you have as much fun with this sketch as I did. Just look at the variety of cards from the team and you will see how much you can do with it! I’ll be back tomorrow with another project from the Creative Crew. See you then! Happy Wednesday! I hope your week is going well! Like I said last week, I have been doing lots of stamping and now you get to start seeing some of it. 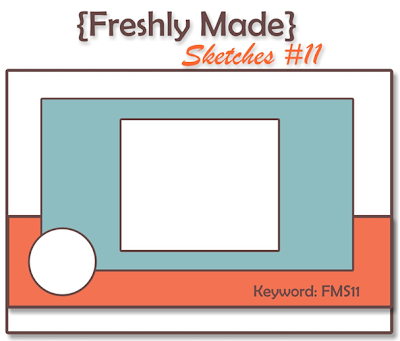 Freshly Made Sketches has another fabulous challenge up today and you are going to love working with this layout! While I have been doing a lot of holiday stamping, today’s card was a bit of a departure from that. I continue to just be in love with the colors in the Paisley Petals DSP and this is why. 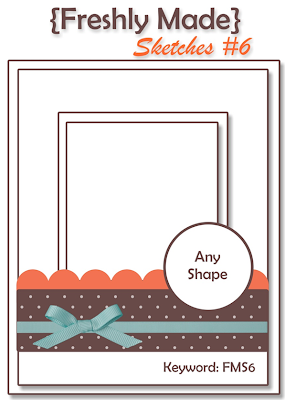 The beautiful paper creates a card that looks hard but isn’t! The flower is cut out of one of the designs and of course it matches the other papers perfectly. 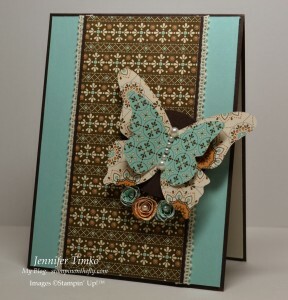 I used my new Designer Frames Embossing Folder to frame the sentiment (from Precious Butterflies – hostess). The “bow” is created by looping some Very Vanilla Seam Binding and cinching it with thread tied through the button. The thread is concealed by a Basic Pearl. I added a little trio of pearls to the corner to finish it off. When your designer paper has this much beautiful detail, there is little need for extra embellishment. 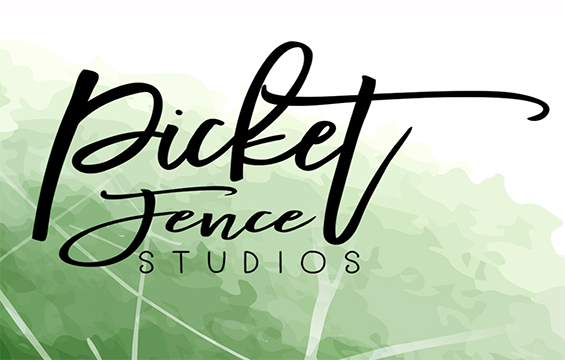 Make sure you go check out the incredible work from the whole design team and our guest designer, Holly Endress. As usual, the variety is amazing! 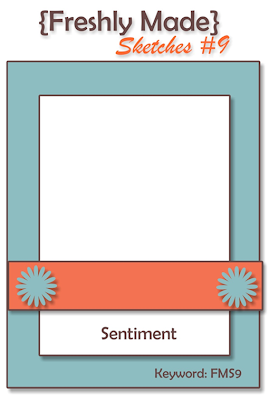 I’ll be back tomorrow with one of the cards from my Christmas 101 Class that I have been holding this week. Get ready to sparkle!! 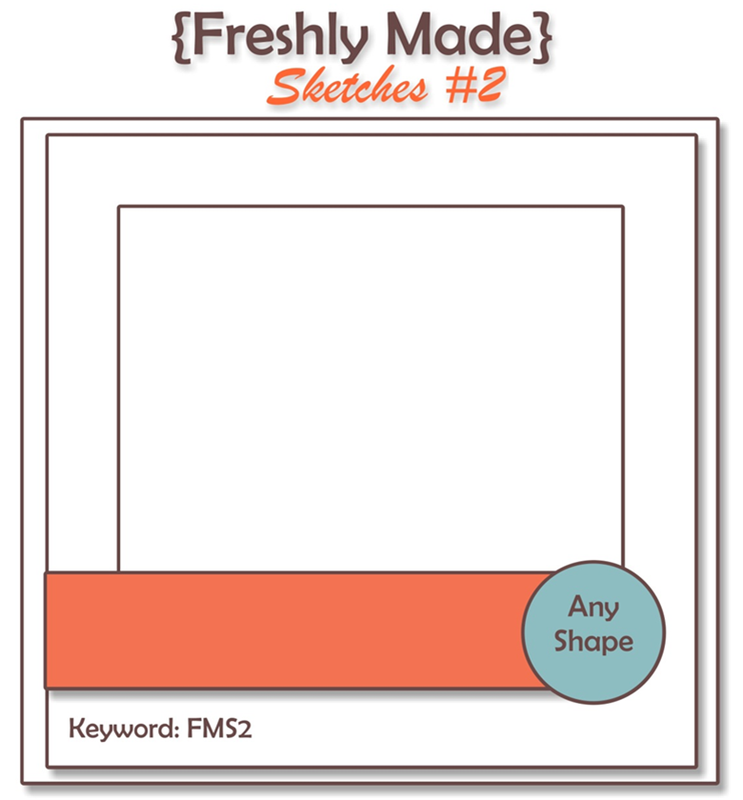 It is time for the Wednesday sketch challenge from Freshly Made Sketches! Yea!! The team has another fun one for you! Just look at all the possibilities with this one!! Take note that the circle can really be any shape. I knew that I wanted that shape to be a butterfly but needed something for the little trio. I took inspiration from Heidi Baks over at RunningwScissorsStamper….her rolled flowers are always amazing. They aren’t even as hard as I envisioned. I started with a 1″ Circle Punch and followed the instructions here. Multipurpose Liquid Glue (Tombo) was the adhesive to hold them together. For my scalloped edges in the sketch I used Victoria Crochet Trim along the rectangular panel. Basic Pearls were the last addition for the flower centers and the body of the butterfly (made with the Beautiful Butterflies Die). Just wait until you see what the rest of the design team has made with this sketch. Wow! 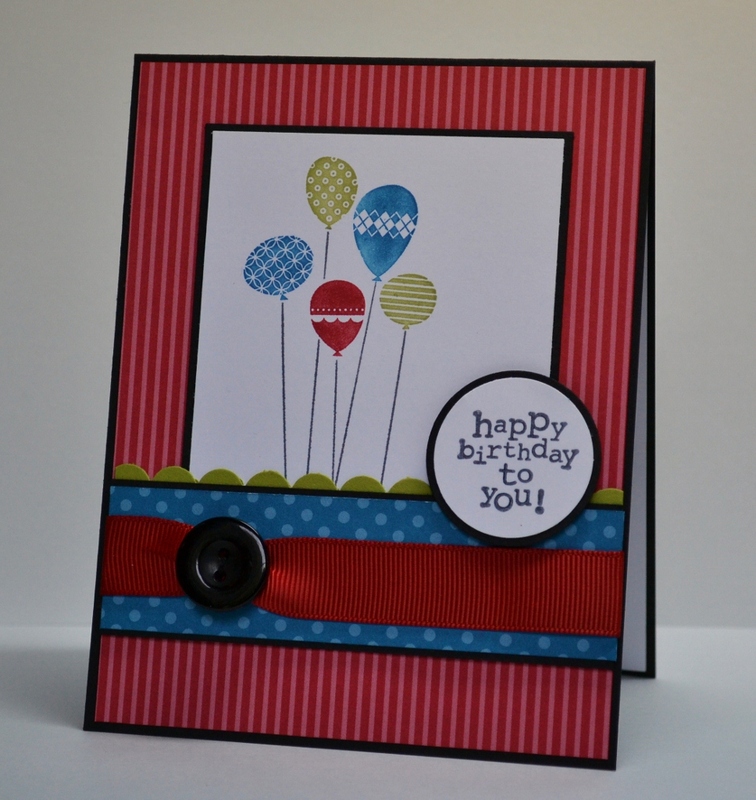 We are joined this week by guest designer Sandra Azzopardi and her card is amazing! I’ll be back on Friday with a project I created for my Hostess Club. Hint: It is a little outside my normal design “box”. Until then, have a great week! It is Wednesday and you know what that means? Another Freshly Made Sketches Challenge is up for you! This is another one of those sketches that you will use over and over again! I decided to create this fun birthday card (made for one of my oldest son’s friends). I am completely in love with the balloons in Patterned Party and the fit perfectly into this sketch! I chose the colors because of the gift bag for his present and then promptly forgot to take the picture of the card with the bag. Oh well! You’ll have to trust me that it was an awesome match! My trusty Brights Designer Paper Pack provided the DSP (in Real Red and Pacific Point) and I used Lucky Limeade as the accent color. The sentiment is from Up, Up and Away. Just wait until you see the rest of the cards created by the design team! You will be so inspired to go use this sketch! So glad you could drop in today. Hope you have a great rest of your week! Look at my cool new badge!! 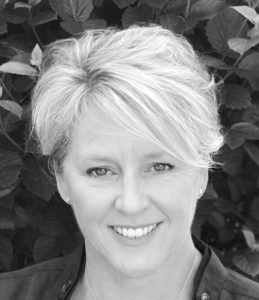 Yes, I have been asked to design for the new challenge, Freshly Made Sketches for the next 6 months along with the super talented Cindy Hall. How great is that??!! Their sketches have already been fantastic and I am really in love with the design philosophy…clean, but not necessarily simple. I have felt that is my design style for a while and can’t believe how fortunate I am to be in the company of such a great design team! Take a look at the great sketch we have for you this week! 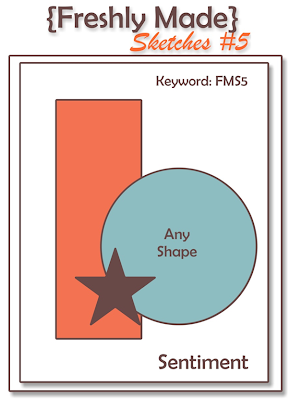 I love the simplicity with lots of room to make that “any shape” panel something special. I chose to leave it as a circle but used my Perfect Pennants Die to create an interesting border. I seem to be fully and completely in my seasonal color changeover and Always Artichoke seems to be one of my go-to colors this fall. I used the Paisly Petals DSP as my inspiration and cut two of the leaves out of the DSP for the focal image. Aren’t they pretty?? I threaded some Very Vanilla 1/8″ Taffeta Ribbon through my Early Espresso button and cinched up a bow made with Alway Artichoke Seam Binding. The sentiment is from the hostess set Precious Butterflies. I hope you are having a fantastic week so far! Make sure you go see the beautiful cards that the rest of the team has made…and then show us your fantastic creation too! Thanks for stopping by today! Hope to see you again soon! Did you enjoy the Operation Write Home Blog Hop yesterday??!! Amazing cards!! If you missed it, just go back to yesterday’s post and the link is there! 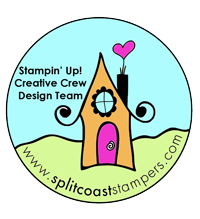 Yesterday was also the launch day for the Creative Crew’s October Challenges at Splitcoaststampers. 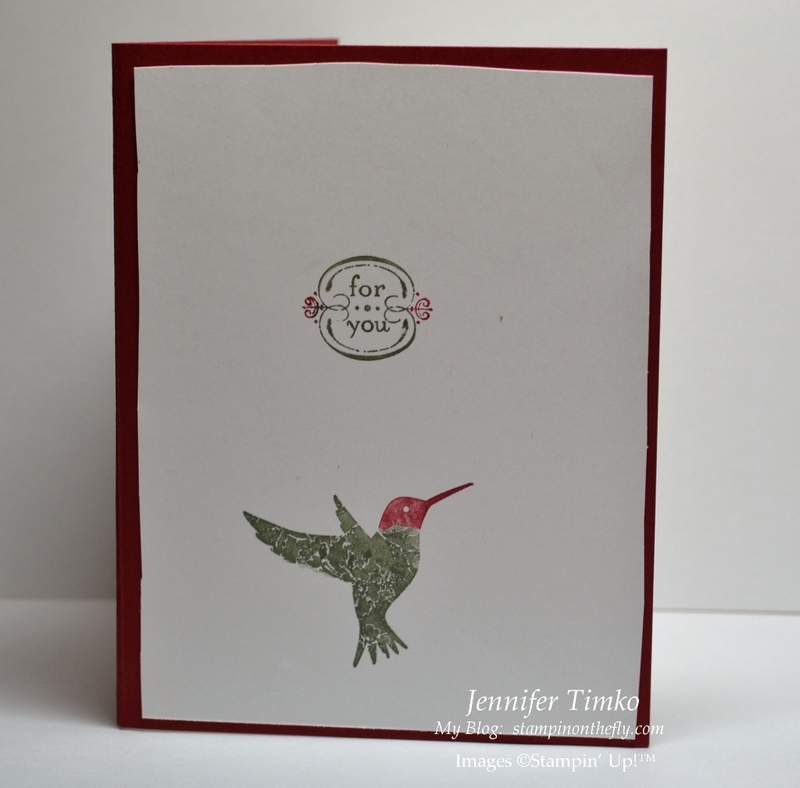 My card today is for the DSP/Color Focus Challenge of the month – use any holiday themed designer series paper. I combined it with the sketch from Freshly Made Sketches #4. This is another great one and it was perfect for the challenge! I chose to make the tag an oval and I love how the big panel let the DSP do the work. 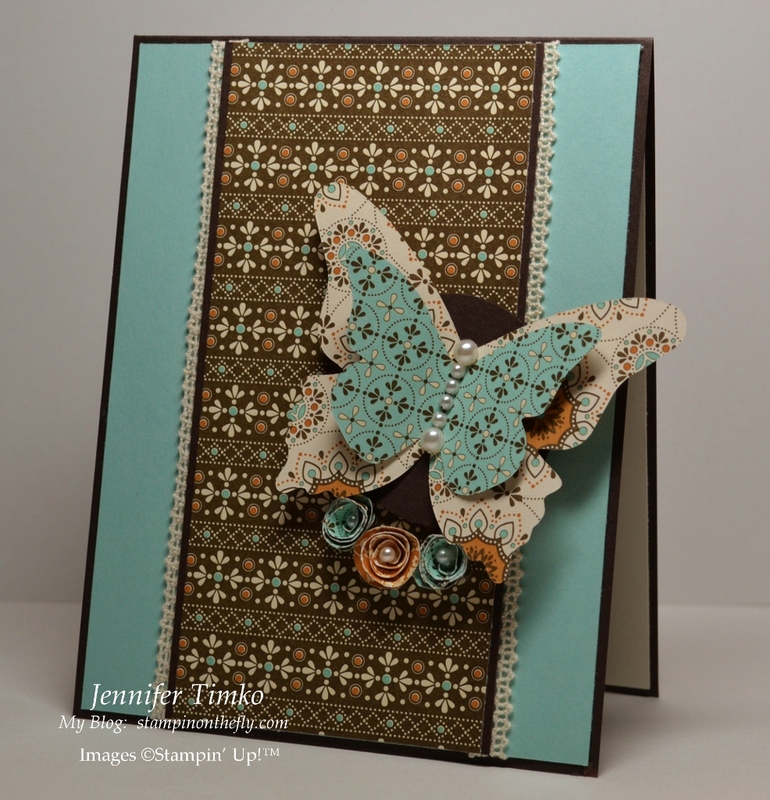 In this case, I used Spice Cake DSP and I am still in love with it! I thought it would be perfect with the leaves from Day of Gratitude! I created the tag by threading a small piece of More Mustard card stock through the button. Then I created nesting loops of the thin slices of card stock, securing them together with Mini Glue Dots. 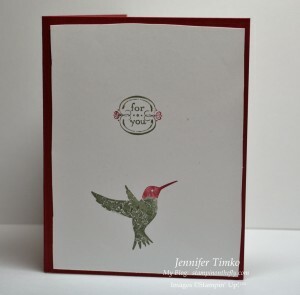 I got the idea to do this from my clever stamping friend Cindy at Heart’s Delight Cards and incorporated it here. I treated the other button the same way and attached it to a piece of Pool Party Ruffled Ribbon for symmetry. The cool weather in VA this weekend has it feeling like Thanksgiving so this seems perfect! I hope your weekend has been good. As promised, I’ll be back tomorrow with more details about my OWH Christmas card. Thanks for stopping by and hope to see you again soon! Happy Saturday everyone! I’m back today with a card made with my new favorite Christmas set, Bright Hopes. I just love this set!! 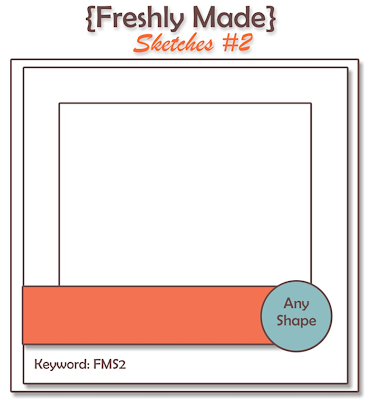 I’m was also excited to play with the new sketch from Freshly Made Sketches, FMS3. I flipped the sketch to accomodate the tree, as you can see. This set is perfect for the challenge because it is best kept “clean”. The intricate details on the stamps do all the work! I interpreted the scallops on the sketch in a slightly different way and used the border stamp to created a scallop look. Trust me, your Stamp-a-ma-jig is your best friend here. I did find that the card was a bit “bottom heavy” (and no one wants to be bottom heavy!!) so I added matching scallops to the top of the card. Problem solved! 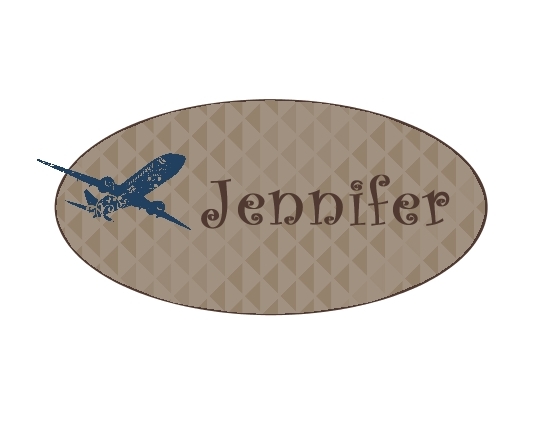 I tied the beautiful Early Espresso Quilted Ribbon into a double bow and finally added a sentiment on the banner. As usual, it is hard to photograph the dimension on the card and the banner is raised in the midde with Dimensionals with the ends flared up a bit. The final addition was the Basic Pearls, another perfect little detail. I hope you like this Christmas card as much as I do. I am fully in Christmas card planning mode so you can expect to start seeing lots more. In fact I will be back on Monday with two more cards (two cards, one layout) with Bright Hopes. Thanks for stopping in today!! Have a wonderful weekend! This is one that will go in the files to use again and again! 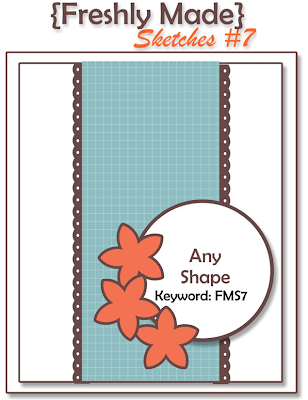 I started in an unusual place on this card…the “any shape” panel. I just got my new Designer Frames Embossing Folder and knew I had to use it! One of the first sets I fell in love with in the new catalog was Creative Elements and I haven’t used it nearly enough. It is perfect for this layout. I have said it before, one of my favorite things about Stampin’ Up is how much thought goes into the coordination of products. It makes me so happy when I find corresponding elements in things. For this card, I noticed the little tulips in the big flourish and immediately added my Framed Tulips Embossing Folder to the mix. Both the oval (without the little dots) and the butterfly are hand cut. Some Basic Pearls were added to the butterfly and then the sentiment for balance. Let’s face it, the pearls make everything more elegant!! Finally, I scrunched up the new Quilted Satin Ribbon using Sticky Strip and tied a little bow out of hand-colored thread. Just used a Stampin’ Write marker to make it whatever color you need. My second card for the day is a wonderful treasure! My oldest son asked to use some stamps to make a card for me. How could I say no??!! He also asked me to see my markers so he could choose colors and came away with Always Artichoke and Cherry Cobbler (that apple doesn’t fall too far from the tree!!). I was summarily kicked out of the stamping area while he created. There was some consultation with my youngest son, I think, and this is the result. They chose the hummingbird because we have enjoyed our feeder all summer long. Now just look at that beautiful marker work!!! Oh, I am a proud mommy! And mostly because they made something they knew I would treasure forever. Am I lucky or what??!! *smile* This was posted with permission of the artist of course. Thanks for dropping in today. 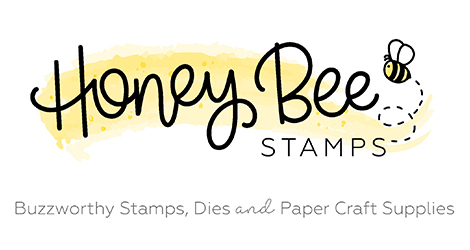 I’ll be back on Tuesday with our next Stampin’ Up Only Challenge. You are going to love it!! I’m working busily on some class, club and Creative Crew projects. I’ll share them all just as soon as I can. Have a great weekend!